Have you backed up your iPhone data on iCloud? Well, if you have used iCloud method to backup your iPhone data then it is pretty much easy to retrieve all the data on your computer and even on your iPhone. 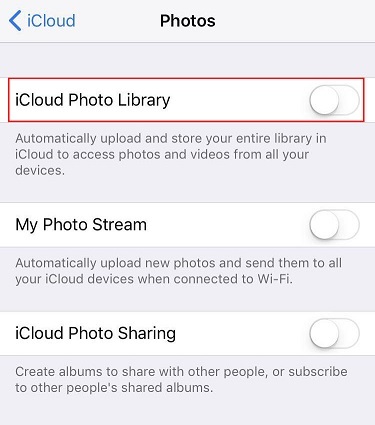 There are several ways to access iCloud backup files, depending upon where you want to access the file, you can use that particular method. In this article we will be discussing about how to access iOS 12 iCloud backup. Make sure to use the right method to get best out of it. So, let’s get started. 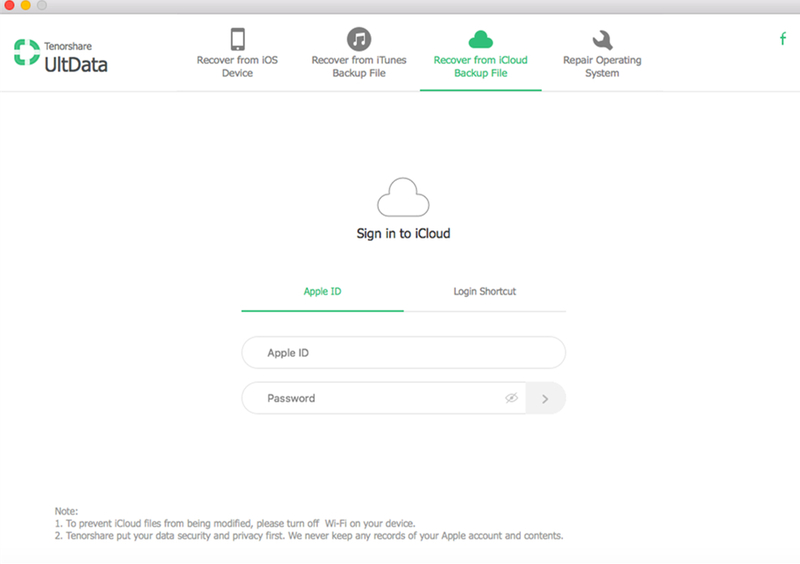 Directly viewing iCloud backup on iOS 12 or iOS 11 can be a really tough task as the Apple has updated the iCloud backup algorithm, and iCloud backup extractor software on the market are not able to read iCloud file anymore. But thanks to Tenorshare UltData that has break through this technology and become the world first software to extract data from iOS 12/iOS 11 iCloud backup. This software supports more than 20 file type including contacts, photos, SMS and WhatsApp. You can preview the file before you recover it and also can recover the file selectively or in bulk. Note: Make sure to download Tenorshare UltData on your computer before starting the process. 1. Launch UltData on your computer. You will see the main screen of the software. There will be 4 options on the top menu bar, select the option “Restore from iCloud Backup File”. 2. Next login with your Apple ID and Password. In case you have already logged in to iCloud on your PC then switch to “Software Access” which will help you to login automatically. 3. You will see all the backup associated with that Apple ID in the list. Choose the backup that you want to view and restore. Click on “Next” button. 4. Select the file type for downloading and scanning. You can choose one or more depending upon which file types you need. Click on “Next” button to start the downloading process. 5. It will take sometimes to download the file depending upon the internet speed and the size of backup file. 6. Once the scanning process is finished, you can see all the file types. Click on it to preview the item and once you are confirmed which of the items you want to retrieve click on Recover button to recover your data. Video below will show you how to directly extract iCloud backup files using UltData. You can even access iOS 12 iCloud Backup on your PC/Mac easily. This method will only help you on how to access iOS 12 iCloud backup. You should have already synced all the content of your iPhone to iCloud backup over Wi-Fi and only the synced data will be able to access using the PC/Mac. You need to have internet connection on your computer to get your hands on your backed up data. 1. Open your PC/Mac and visit the iCloud official website [www.iCloud.com] using any browser. 2. Now enter your Apple ID and Password to login to iCloud account. 3. You will see the list of available data types like mail, contacts, photos, notes, numbers etc on your computer screen. 4. Click on it to view the inside content and download to your computer if needed. You can view iCloud backup on iOS 12 iPhone/iPad by restoring the device. To use this method, you need to erase all content and settings of your device then only it is possible to restore from iCloud backup iOS 12. Follow the steps given below to know the process perfectly. Note: If your device is new then directly choose Restore from iCloud Backup that you will see on the screen. 1. Open Settings of your iPhone >> Go to General >> Tap on Reset. 2. Now tap on “Erase all content and settings” option from the list. 3. You will see a confirmation message on your screen, tap on Erase iPhone and enter your passcode to proceed further. 4. Once you have erased everything of your iPhone, you will be on the Apps & Data screen. Tap on “Restore from iCloud Backup” and then login to your iCloud account. 5. Choose the backup that you want to view and wait for sometimes until your iCloud backup is downloaded. 6. Now you can access iCloud backup files easily. These are the methods on how to extract data from iCloud backup. The methods are given according to its easiness and reliability. Tenorshare UltData will make your work fast as this is the world first software to extract data from iOS 12/iOS 11 iCloud backup. Try this software and make the best use out of it.